Turmeric, “the spice” to fight cancer? Research in the past few decades has shown that cancer is linked to inflammation. For example, chronic inflammation in the stomach can cause gastric cancer and inflammation in the liver from hepatitis can lead to liver cancer. 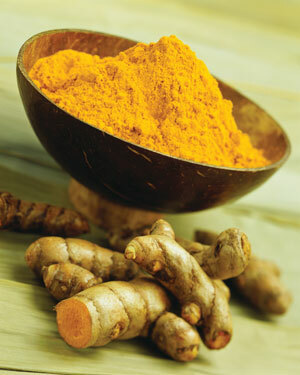 Turmeric, a spice from south Asia belonging to the ginger family, is the main ingredient in curries. Known for its anti-inflammatory and anti-oxidant properties, turmeric has shown promise in treating a variety of conditions. And now researchers at Tel Aviv University have discovered that turmeric’s active ingredient, curcumin, amplifies the therapeutic activity of highly toxic anti-inflammatory drugs used to fight colon cancer when used at high doses. According to Dr. Shahar Lev-Ari of Tel Aviv University’s School of Public Health at the Sackler Faculty of Medicine, curcumin can fight cancer when used in combination with a popular anti-inflammatory drug, Celecoxib, thus alleviating the inflammatory response caused when cancer takes root in the body. A treatment based on this finding has already had promising results in human clinical trials. Curcumin increases the anti-cancer and anti-inflammatory effects of Celecoxib while reducing its dose, thus reducing its toxic side-effects, including the rate of heart attack and stroke. Click here to read more on cancer, inflammation, and what you can do to optimize your health. This entry was posted in Cancer Prevention, General, News Update, Nutrition and tagged anti-inflammatory, antioxidant, cancer, colon cancer, curcumin, inflammation, turmeric. Bookmark the permalink. 3 Responses to Turmeric, “the spice” to fight cancer?